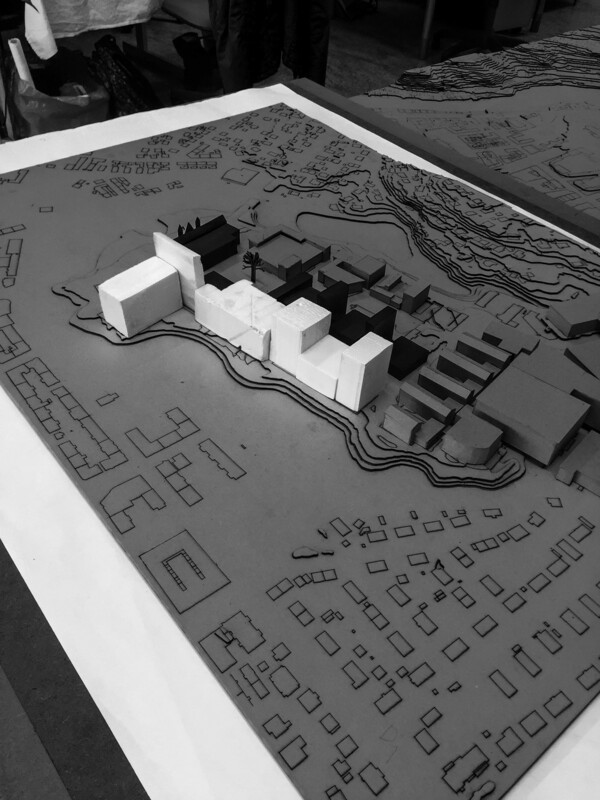 The vision aims at developing the existing NTNU campus at Gløshaugen in order to house the faculties and facilities at Dragvoll, and other NTNU campuses around the city, into one dense urban city campus. 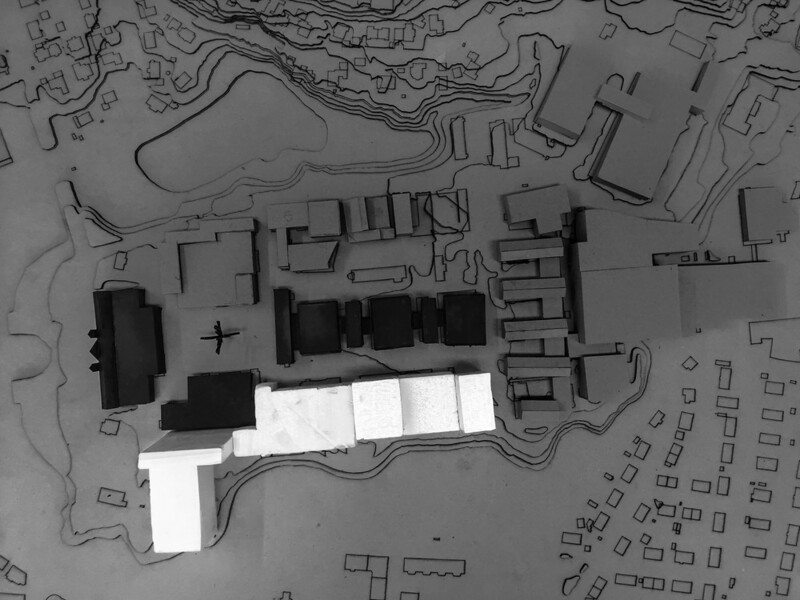 By taking advantage of the potential spaces at Gløshaugen, as well as seeing the possibility to redevelop the existing buildings the goal is to densify the current campus model and thereby consolidating NTNU into one unified body. 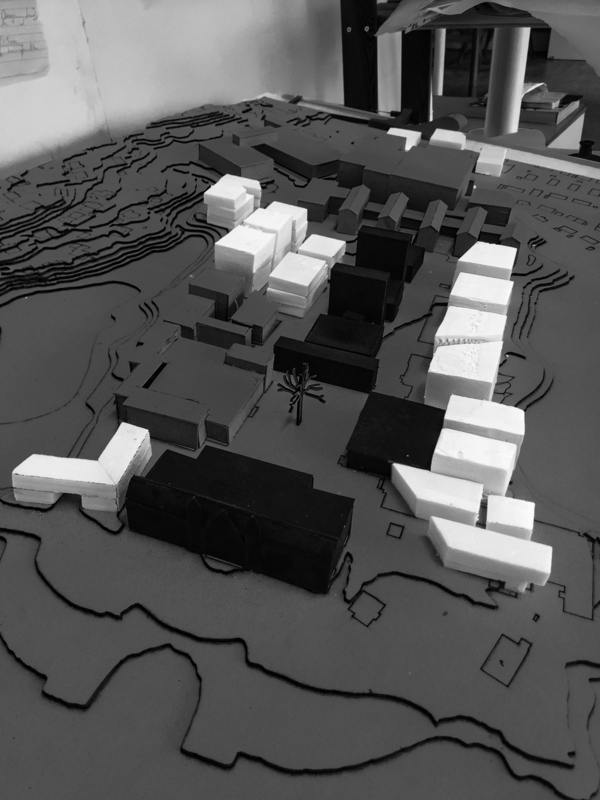 The densification of Gløshaugen is also an occasion to include mixed activities with various programs such as new teaching spaces, spaces for social interaction, student housing, etc in order to enforce the 24/7 campus. By increasing the activities on campus the program envisions an increase of social and commercial activates in and around the nearby area. 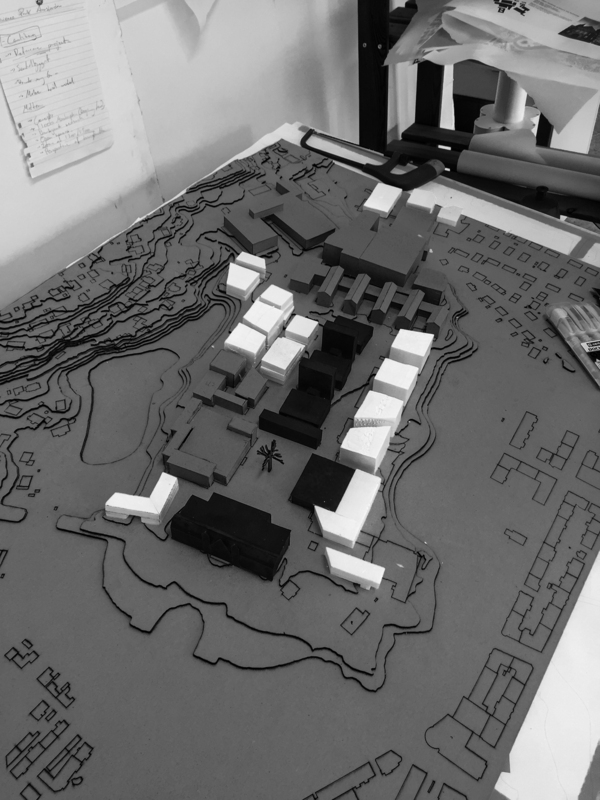 The vision is based on the idea that forming a central coherent urban campus yields more possibilities for further urban development in and around the city. 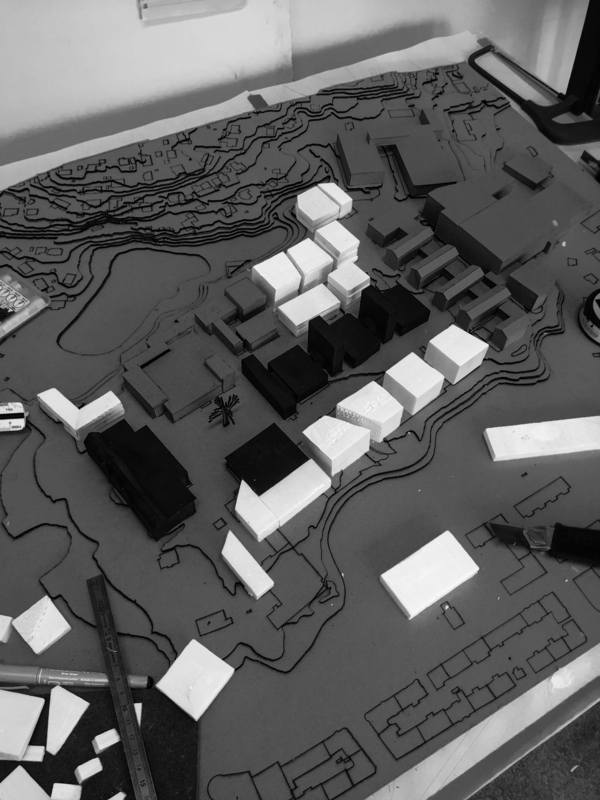 This means that there is a need to strengthen the connection between the city and the university in order to form new urban hubs/ zones for activities. 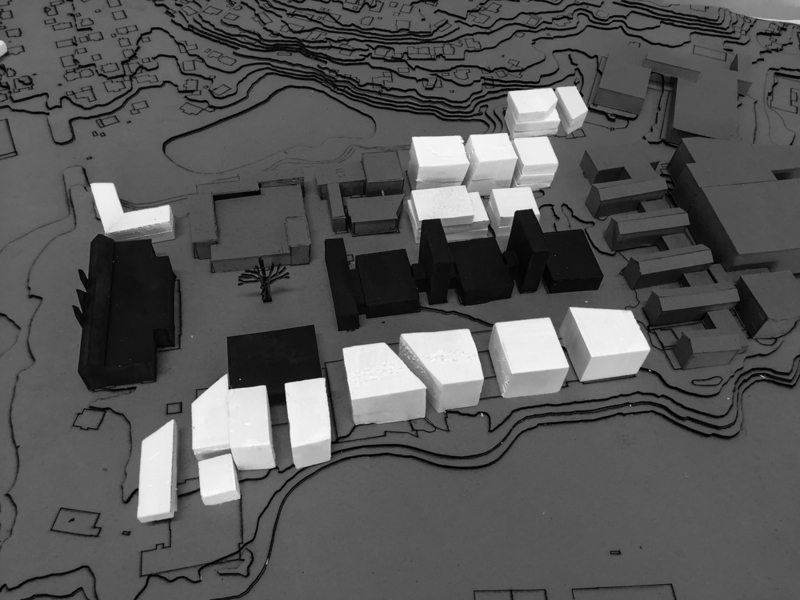 This project aims to have the city and the the university in the area just south of Midtbyen merge into a new district, where learning facilities, commercial activity, living, and general city functions merge into a mixed urban fabric where each part can develop its own strengths. 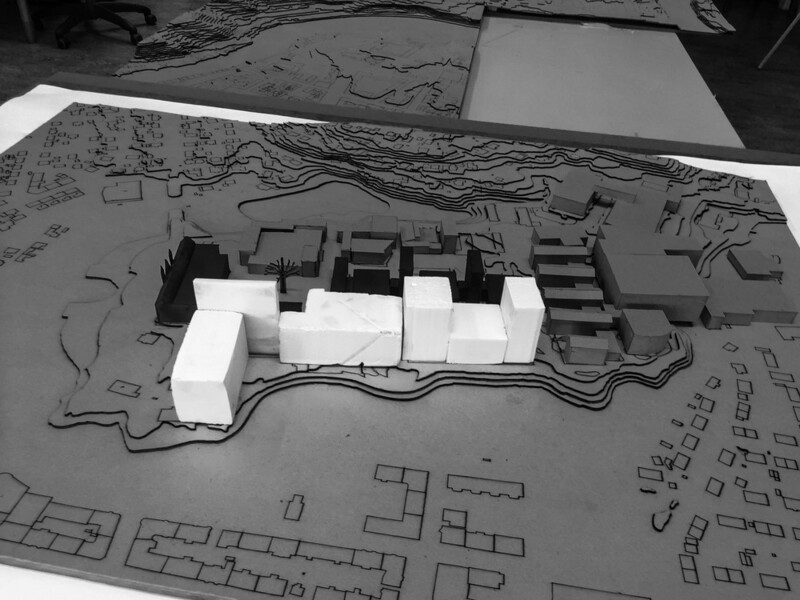 This situation would allow the city to grow into something greater than the sum of its parts.